One of the ultimate goals of chemistry is to control the absolute and relative configurations of all elements and freely design the bonds between the elements. Therefore, controlling the absolute configuration and asymmetry of the metallic center is an important key to open up science for new materials of metallic elements that account for approximately 80% of the periodic table. The purpose of this study area is the design and synthesis of asymmetric coordination sphere and development of anisotropic assembly method with theory, experiments, and measurements of metal complexes by understanding metallic elements as well as three-dimensional control of the coordination sphere, reaction, and physical properties expression field. Namely, a new scientific principle “Coordination Asymmetry” was created by the development of methodologies to build asymmetry and chirality of structural and electronic states with metal complexes and coordination space obtained from assembled complexes and its nano-micro level assembly based on the molecular level control of the coordination sphere of metal complexes. 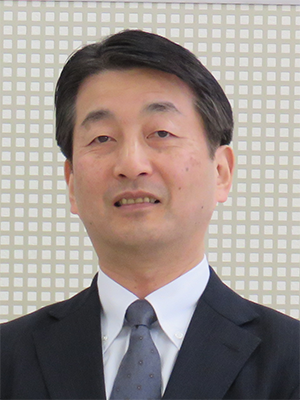 Specifically, building method for chiral metal complexes including asymmetric induction of prochiral metal complexes, and new techniques for asymmetric structural assembly are established and expanded to new functional molecules and materials having structural, functional, and anisotropy or directivity of physical properties. “Coordination Asymmetry” opens up matchless new academic fields for chiral material chemistry in the field of organic chemistry by coming up with innovations for material creation research based on coordination chemistry. 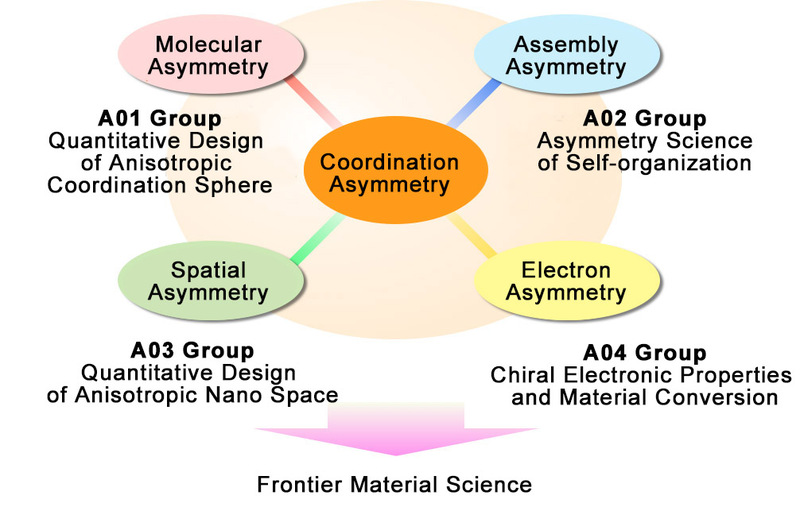 In this study area, four research items, A01 (molecular asymmetry), A02 (assembly asymmetry), A03 (spatial asymmetry), and A04 (electron system asymmetry) have been set, and research is promoted with a coordinated cooperation system between the theoretical, experimental and measurement groups. With this area of study, new scientific principles are created for the design methods of asymmetric coordination sphere and multi-scale anisotropic assembly, and the fundamental concepts related to molecular architecture and the hierarchical structure architecture will bring about a paradigm shift by penetrating into not only coordination chemistry but all fields related to material creation. An ingenious new material group will be realized by rationally designing (unit design) the absolute and relative configurations of all the atoms in materials containing metal that form a structural unit, and controlling the relative positions during assembly (assembly design) with precision. We have focused on the core of coordination chemistry called “Coordination asymmetry” while keeping an eye on the basis of such chemistry and are vigorously promoting the challenging fusion research with an overall view of all related fields.